Carassius auratus. Non-aggressive. 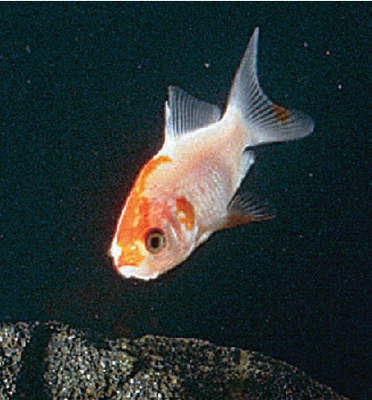 The comet goldfish is a favorite aquarium fish, and is usually deep orange. Care instructions are included. Size: 1–1 1/2".